Dr. Joseph B. Tuzzeo, D.C., P.A. Call us at 973-838-8878 today. 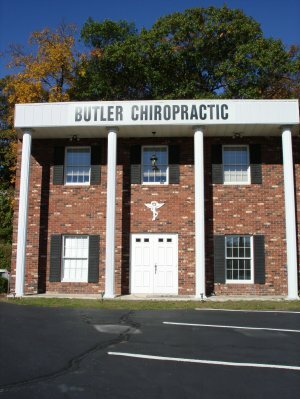 Conveniently located in the heart of Butler, on Route 23 South , Dr. Joseph B. Tuzzeo IV, at Butler Chiropractic is dedicated to helping you achieve your wellness objectives -- combining skill and expertise that spans the entire chiropractic wellness spectrum, including Physical Therapy. Dr. Joseph Tuzzeo is committed to bringing you better health and a better way of life by teaching and practicing the true principles of chiropractic wellness care. Patients seeking treatment at Butler Chiropractic with Dr. Joseph Tuzzeo are assured of receiving only the finest quality care through the use of modern chiropractic equipment and technology. Dr. Joseph Tuzzeo and the staff have a genuine concern for your well-being! If you are new to our website, please feel free to discover and learn about chiropractic wellness. If you are interested in starting your journey towards wellness please subscribe to our award winning newsletter. If you are already a newsletter subscriber, please explore the member wellness section of our website for wellness articles, resources, and health facts---specifically targeted by Dr. Joseph Tuzzeo to your wellness needs and interests. We are proud to serve the TriBoro Area of Butler, Bloomingdale & Kinnelon, NJ, as well as the immediate surrounding areas of Riverdale, West Milford, Wayne, Pequannock, Pompton Lakes and Pompton Plains, NJ. It's Your Life... Live it in Health and Pain-Free! Look for us on the internet under New Jersey back pain relief, New Jersey back pain doctor, New Jersey pain management, back pain New Jersey, chiropractor in New Jersey, back surgery New Jersey, spinal decompression New Jersey, sciatica doctor New Jersey, and Herniated disc treatment New Jersey, slipped disc New Jersey, and Bulging disc treatment in New Jersey! Dr. Joseph Tuzzeo has been a licensed Chiropractor since 1996. 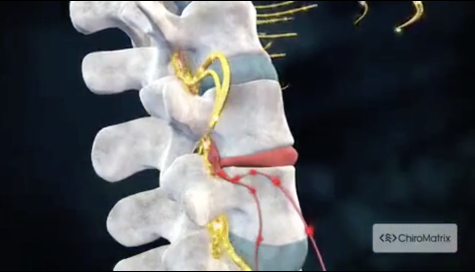 Dr. Joseph Tuzzeo has been freeing people from pain since 1996 in his clinic in Butler, NJ. 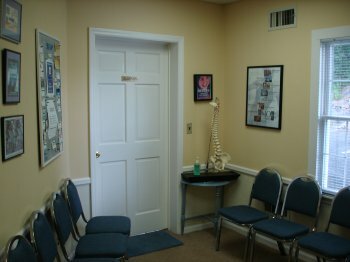 As a Chiropractor with experience, Dr. Joe Tuzzeo is committed to promoting the health and well being of his patients. "Dr. Tuzzeo's an expert at what he does. Swift, friendly, and highly effective service, with a great deal of care and attention to detail, as well. There is no better bet for your chiropractic needs." "Dr. Tuzzeo is by far the best chiropractor I have ever been to. His Father was also a chiro so he has been in the industry his entire life. He is extremely knowledgable, comfortable to work with and really cares about your health in general. His treatment has made a notable change in my life and at least 6 of my friends have had great results from him too. Oh, and he's funny. In fact he cracks me up! ;)"
"I would like to praise Dr. Joe as an excellent Diagnostician. A few years ago, Dr. Tuzzeo detected a problem with my body by hearing a cough. Dr. Joe insisted that I get a chest X-ray which showed an almost bursting hiatal hernia. My gastrointestinal doctor stated if it did burst, I would bleed out into my stomach and I could die. I had immediate surgery and the problem, as well as my acid reflux, has been resolved. I always tell my friends that I owe my life to Dr. Joe. So take his advice and do what he tells you and it may make a big difference!" "I've been seeing Doctor Joe for over 15 years. He always puts me back together again when I fall apart and feel like I need an oil can like the Tin Man or lose some of my stuffing like the Scarecrow in the Wizard of Oz. I just hurl myself on the table, we have a few laughs, and he pops things back into place. It's nice to be able to be comfortable and to have this blessing. I've had some horrible back conditions that he's healed up." "My husband and I started out with Dr. Joe, Sr. and were very happy with the care that he provided us. After he retired (and well deserved) his son took over and we have been more than pleased with his care. He is the type of person who not only cares about your physical well being; he is also interested in you, as a person. I have been going through a lot with many knee surgeries and he has been not only my doctor but my sounding board. There have been many times when I have cried on his shoulder and he listened with an open heart. Anyone who is in need, should take the time and visit Dr. Joe Tuzzeo. Not only will you receive EXCELLENT medical care, you will find a friend. I am thankful that there are people out there like Dr. Joe." "I came to Dr. Joe because I was having severe headaches for 2 weeks. During the treatment, I told Dr. Tuzzeo about the tinnitus I had in my left ear for over 3 years. I never thought about a chiropractor helping with this...I had gone to my doctors over the years with no help. Not only did Dr. Joe help with my headaches but my tinnitus is also gone after 4 visits.."
"Some people are often hesitant to go to a chiropractor.I can honestly say that I sometimes put off going, for a variety of reasons. I always regret it however because when I do go I know I will get the best care from Dr. Tuzzeo. I always leave feeling that I not only had the best care at his office but he will always give me additional things to do at home to help me maintain a healthy body. He is patient and caring,always ready to listen to all of my concerns and never rushes his treatments. He's great!!!"